A personal health budget is an amount of money to support the health and wellbeing needs of you or someone you care for. They are designed to improve yours or your child’s healthcare by offering more choice and control over the support and services you get. In Sunderland we are offering personal health budgets to people aged 18 years and over, who are registered with a local GP, living in their own homes and are eligible for fully funded NHS continuing healthcare. We are also offering them to children who receive continuing care. 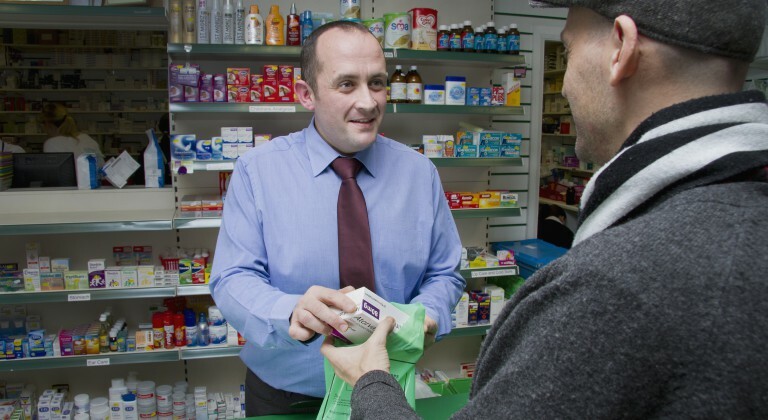 Direct payments – you get the cash to buy the services you and your NHS worker or care co-ordinator agrees you need. Your NHS worker or care co- ordinator is the team or person who works with you most often on your care plan – this might be a care manager, a nurse or social worker for example. You have to show what you have spent it on, but you buy and manage the services yourself. A notional budget – you do not get any cash, but your care co-ordinator will tell how much is available to meet your needs. A notional budget is for individuals who do not want or cannot manage direct payments. You and your care co-ordinator will work together to agree what services you want to pay for. A real budget held by a third party – this is where the money is paid to an organisation who holds the money on your behalf. A more unusual third party arrangement is an ‘individual service fund’. This is set up to manage the budget on your behalf and be accountable for the money. If you’re eligible for continuing health care or your child is eligible for continuing care, and you would like to consider a personal health budget, then you can work together with your NHS worker to develop a support plan. The support plan, the proposed amount of money and how the budget will be managed then has to be agreed by your local Clinical Commissioning Group (CCG) who manages personal health budgets in your area. If your child gets continuing care, they will have an education, health and care plan (an EHC plan) – or will be transferring to one very soon. For children, personal health budgets can contribute to some or all of the social, health or educational elements of this plan. In your area there will be a ‘local offer’ and you can usually find out more about this on your local council website. Even if a personal health budget is not right for you, you can talk to them about other ways to make sure that you get the healthcare and support that works best for you and your family. Your NHS worker or care co-ordinator will ask you questions to find out what you need for your health and wellbeing. Your assessment of needs is used to calculate an ‘indicative budget’. An ‘indicative budget’ is an estimated of the money needed to meet your health and wellbeing needs. Your NHS worker or care co-ordinator will then work with you, and those who support you, to decide how best to use the personal health budget to meet your needs. This will include your choice of how care is delivered. This is written in a support plan, which both you and your NHS worker or care co-ordinator must sign. While it can take some time to set up your health budget, we will make sure that this doesn’t cause a delay in being discharged from hospital and an interim care package may be offered in these circumstances. The support plan sets out yours or your child’s personal health and wellbeing needs, the health outcomes you want to achieve, the amount of money in the budget and how you are going to spend it. You can use a personal health budget to pay for a wide range of items and services, including therapies, personal care and equipment. You don’t have to change any healthcare or support that is working well for you just because you get a personal health budget, but if something isn’t working, you can change it. Your NHS worker will advise you and can recommend a range of organisations that can offer local support. There are some things you can’t use the budget for, such as alcohol, tobacco, gambling or debt repayment, or anything that is illegal. You also can’t use a personal health budget to buy emergency care – for example if someone in receipt of a personal health budget had an accident, they would go to A&E like everyone else – or for primary care services like dental treatment. But other services recommended by a GP, like physiotherapy, could be included. Personal health budgets are not a welfare benefit and are not a part of the benefits system. However, it is important to understand that, at present, personal health budgets are available only to those people who are awarded NHS continuing healthcare – therefore some of your benefits may be affected depending on your circumstances and it is your responsibility to inform the Department of Work and Pensions (DWP). You can find out more on the NHS Choices website or at Gov.uk website. Personal health budgets are given in order to meet health and wellbeing needs, and cannot be spent for any other reason. NHS Sunderland Clinical Commissioning Group (CCG) has a duty to ensure that payments are being used for what has been agreed with your NHS worker or care co-ordinator and documented in your support plan. NHS Sunderland CCG is entitled to recover any money that is not spent appropriately. Whatever form of personal health budget is used, the assessment and review process for continuing healthcare remains as it is now. Personal health budgets work in a similar way to the personal budgets or individual budgets for care and support from social services. If you already get this benefit, and your NHS worker agrees, you can combine this with a personal health budget too. You can also use ‘direct payment’ to manage these budgets. Your NHS worker or care co-ordinator will be able to help you with more details about what you can use your budget for. What is continuing healthcare or continuing care? NHS continuing healthcare (CHC) is the name given to a package of care that is arranged and funded solely by the NHS for people who are not in hospital but have complex, ongoing healthcare needs. Similarly, NHS continuing care is support provided for children and young people under 18 who need a tailored package of care because of their disability, an accident or illness. The main difference is that while continuing healthcare for adults focuses mainly on health and care needs, continuing care for a child or young person considers their physical, emotional and intellectual development as they grow up, so, for example, because all children aged 5-16 should get compulsory education, most continuing care packages will have elements of health and local authority funding to enable this. You can get lots of information and see frequently asked question on the NHS Choices site. You can read a leaflet about personal health budgets here. Here is an easy read version of the information. Professionals can get more information and download resources from the North of England Clinical Support Unit here. If you are unhappy with an NHS service, find out more about how to make a comment or complaint here.